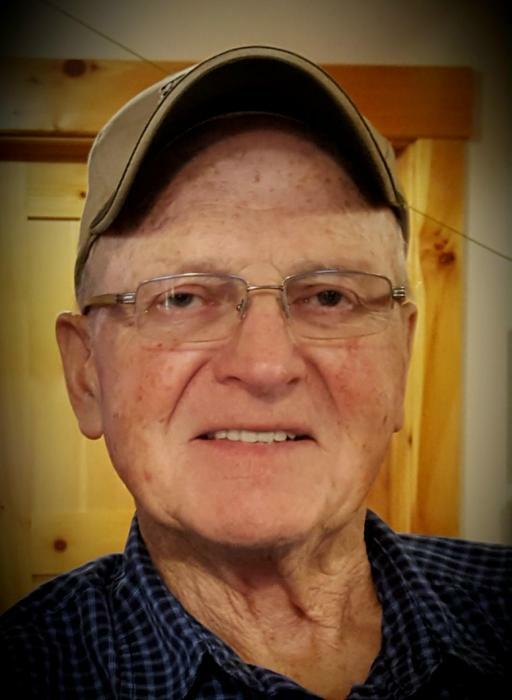 Robert “Bob” McCarville Sr. passed away on January 26, 2019 peacefully in his sleep at home in LeRoy, MN. Visitation will be Wed. January 30, 2019 at Hindt-Hudek Funeral home, Cresco, Ia from 4pm until 7pm. Church service will be Thurs. January 31, 2019 at Our Lady of Lourdes Church, Lourdes, Ia at 10:30 am with visitation 1 hour prior to service. Robert Joseph McCarville Sr. was born Nov. 21, 1942 to Athanasius Augustus and Clara (O’Donnell) McCarville and raised in rural Lourdes. Bob attended school in Lourdes, Elma and graduated from Notre Dame High School in Cresco, Ia in 1960. He participated in basketball where he was known as “Jump Shot Bob.” After high school, Bob briefly attended Winona State in Minnesota before returning to the family farm where he resided for 62 years until relocating to Leroy, MN. Bob was united in marriage to Linda Kaderabek on April 28, 1962. To this union, six children were born. They later parted ways and Bob married Shirley (Kruse) Beck on Dec. 29, 2004. Bob worked hard his entire life. In addition to farming, Bob hauled milk (by cans), worked at Oliver’s in Charles City, Ia and Sara Lee in New Hampton, Ia. He graduated truck driving school at NICC in Calmar, Ia, and worked at Featherlite in Cresco, IA. He ended his career by semi-retiring with the job he loved the best, driving grain truck for Roe Farms of rural LeRoy, Mn. Bob felt extremely valued and appreciated. Roe Farms always took good care of him. In his spare time, Bob loved woodworking, mowing lawn, gardening and most of all, spending time with his family and extended family. He loved attending events of all his grandkids, step-grandkids, great grandkids and step-great-grandkids. One of his favorite past-times was watching his grandson Jacob play baseball and attending as many games as possible. Bob is survived by Shirley, his wife of 15 years. One sister, Ellen (Wayne) Frantzen of Maquoketa, Ia. Six children, Lori (Mike) McConnell of Cresco, IA, Robert (special friend Fabricio) McCarville Jr. of Miami, Florida, Lisa (Win) Peter of Mason City, IA, David (Candi) McCarville, Dubuque, IA, Susan (Roger) Meyer, Decorah, IA and Jennifer (Grant) Kellogg of Cedar Rapids, Ia. Also extended family, Brad (Ashley) Beck, Cresco, Ia, Jody (Dena Strain) Beck of Pine Island, MN, Marty (Sam) Beck of Lime Springs, Ia and Brad’s children, Zach and Cody Beck, and Marty’s children, Brychan, Piper and Kanon. He also leaves behind 10 grandchildren, Emily (Evan) Freese, Jesse (Kasey Bruns) McConnell, Jacob Peter (Carli Cook), Evan (Shana) Meyer, Elise (Phil) Linn, Payton, Riley and David McCarville, Kiera and Kaine Kellogg. Great Grandchildren Caleb and Owen Meyer, Aaron Linn, Axel Freese and numerous nieces and nephews. Bob is preceded in death by his parents, Athanasius and Clara, two brothers, Charles and Thomas, and two sisters, Elizabeth (Liz) and Mary Margaret (in infancy). Bob’s sense of humor was well known and helped carry both himself and family during the last year of his life. Despite numerous visits to the doctors at Mayo Clinic for heart failure and recently diagnosed lung cancer, Bob remained both optimistic and humble to the very end. In lieu of flowers memorials are preferred to the Bob McCarville Family.